size: irregularly shaped bout, 5.5cm at the wide side, 2,5cm at the narrow side, ca 17cm long. Sharpness level coming off slurry: ++/+++ (range: + shaves my armhair barely, ++ shaves my armheir well, +++ sufficient to shave my face) This is a very easy Coticule for great results without much need for experience. Finishing properties, water only: water only: excellent. 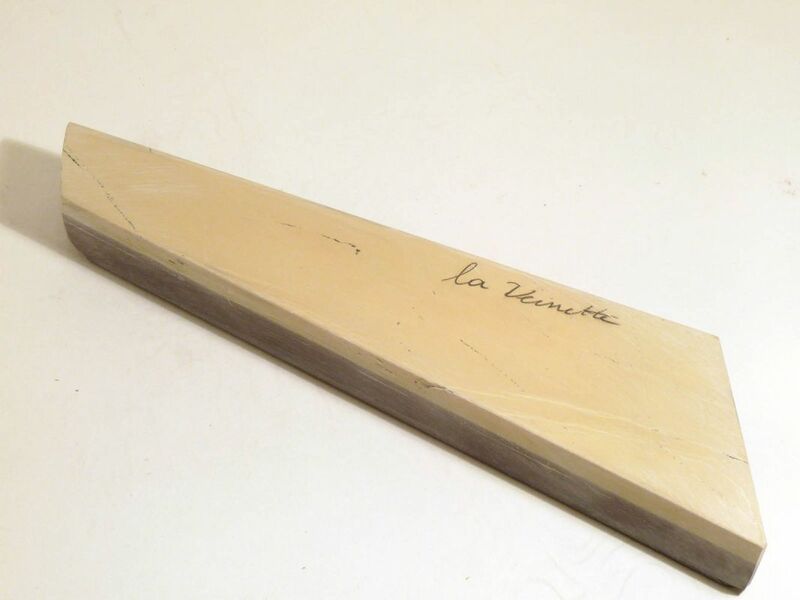 hone leaves very smooth edge. fairly fast edge refinement. Dilucot: follow standard procedure. Easy to reach sufficient sharpness.